News is coming in from the west coast that California breweries are going to be able to fill ANY growler as long as it is properly labeled. This is a revelation to many as it was just assumed that breweries could only fill/sell their own growlers. The language of the CA code merely speaks to proper labeling, not the origination of the growler. As long as the label says where the beer came from, what is in it, it is properly sealed, and a few other requirements, the 64oz containers are good to go. Literally. Proper labeling will likely be achieved through the use of stickers specific to each brewery’s beer. Is this a viable option here in MN? 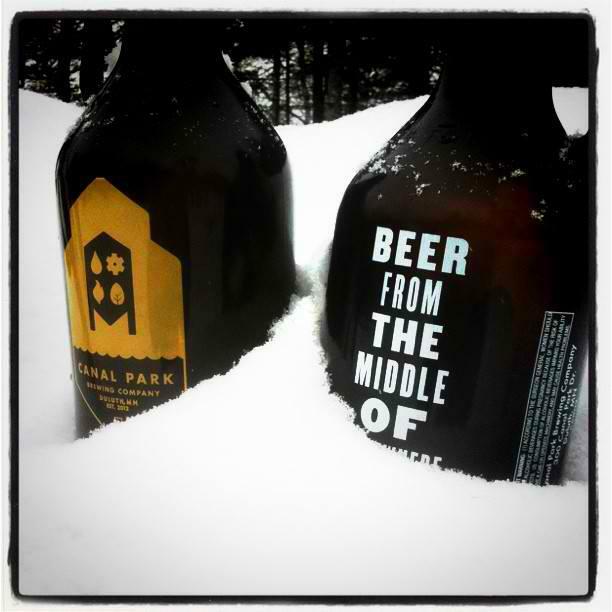 Proper cleaning and sanitizing of growlers could be potential hangups for MN brewers. There is no point in putting your beer in a growler if you don’t know that it is clean. The variety of growler containers could pose problems as well. Are brewers interested slapping stickers all over their brethren’s containers? Any craft beer fan in Minnesota will tell you that investing in growlers for every brewery you want to visit can be a bit daunting, and leave you with empty containers taking up real estate in the cupboard. With the number of Minnesota breweries increasing every month, it is not likely that local brewers would ever reach a consensus on the issue. But, growler swapping sure is worth considering.